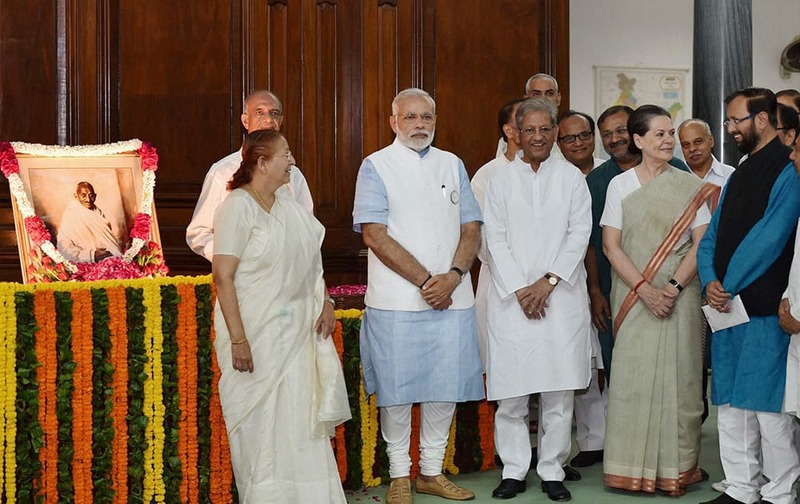 Prime Minister Narendra Modi, Lok Sabha speaker Sumitra Mahajan, Congress President Sonia Gandhi and others after paying tribute to former Prime Minister Lal Bahadur Shastri and Mahatma Gandhi on their birth anniversary at Parliament House in New Delhi. 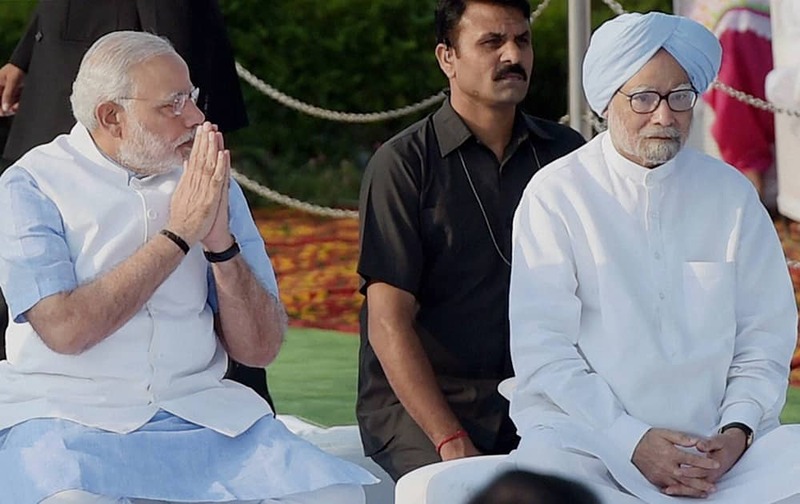 Prime Minister Narendra Modi and former PM Manmohan Singh at Rajghat on the occasion of Mahatma Gandhis 145th Birth Anniversary in New Delhi. 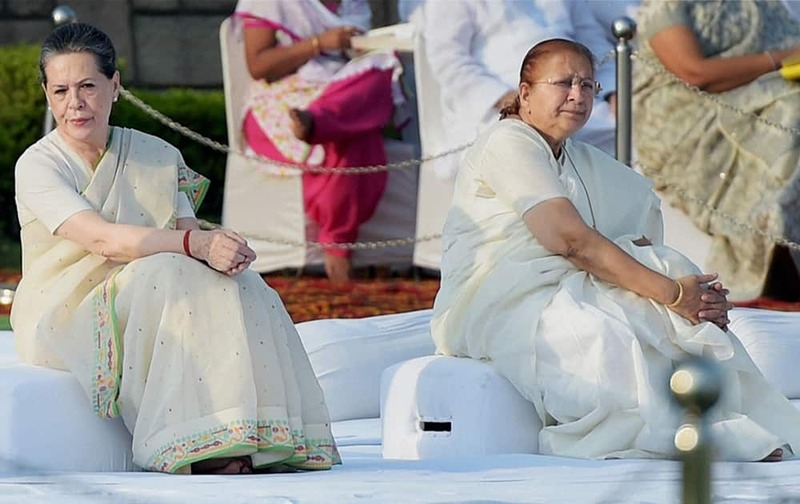 Congress President Sonia Gandhi and Lok Sabha Speaker Sumitra Mahajan at Rajghat on the occasion of Mahatma Gandhis 145th Birth Anniversary in New Delhi. 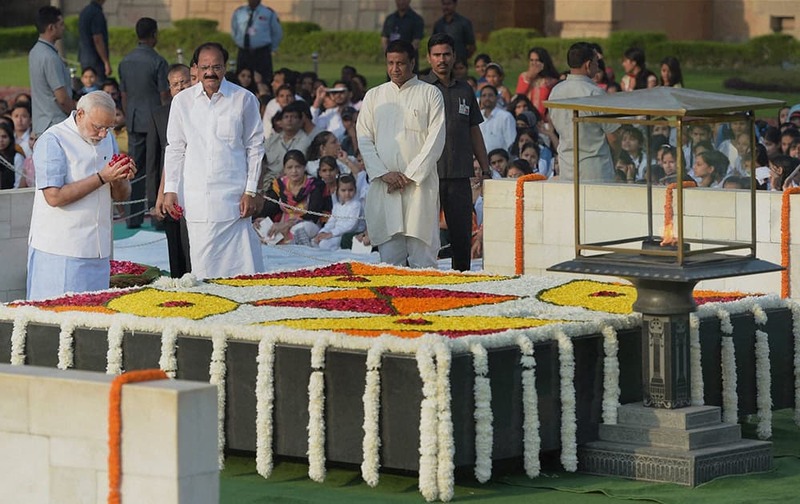 Prime Minister Narendra Modi paying homage to Mahatma Gandhi on the occasion of his 145th birth anniversary at his memorial Rajghat in New Delhi. 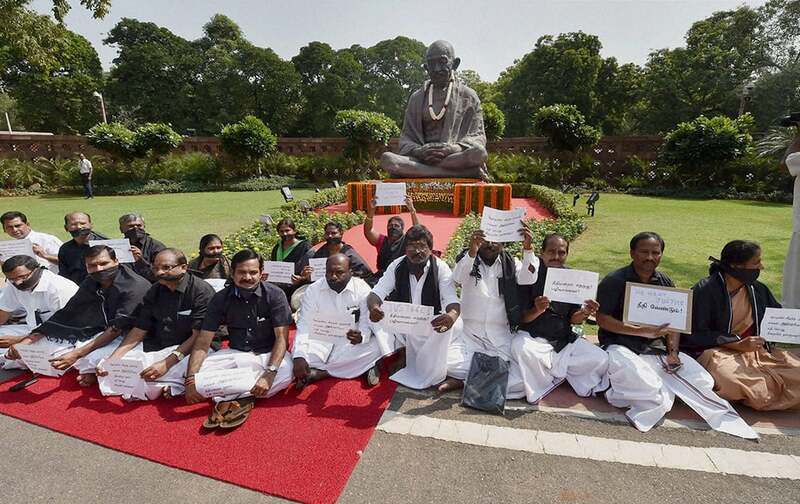 AIADMK MPs observe a fast in front of Mahatma Gandhis statue in Parliament House, demanding justice for party supremo and former Tamil Nadu Chief Minister J Jayalalithaa in New Delhi. 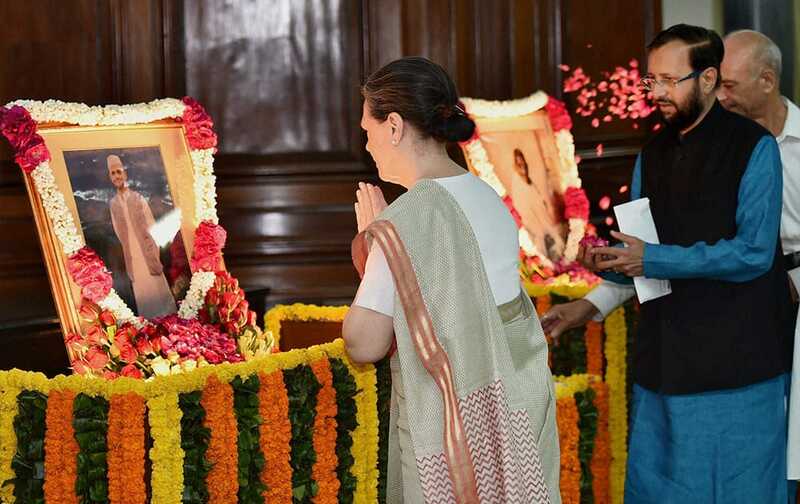 Congress President Sonia Gandhi paying tribute to former Prime Minister Lal Bahadur Shastri and Mahatma Gandhi on their birth anniversary at Parliament House in New Delhi. 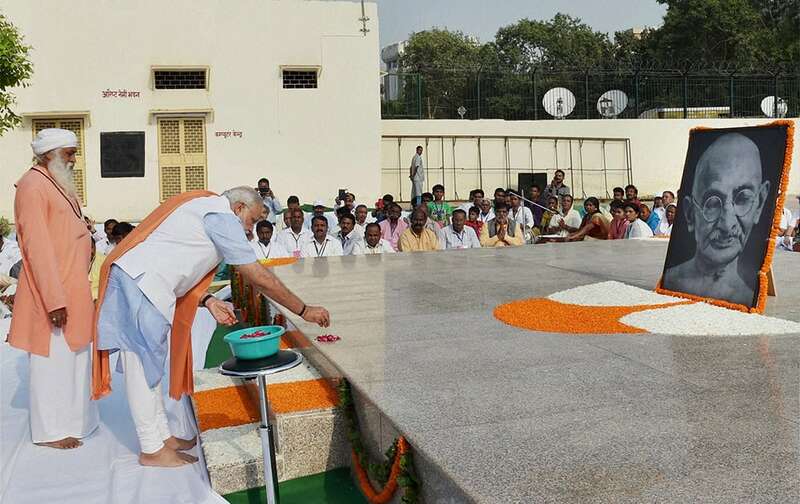 Prime Minister Narendra Modi paying homage to Mahatma Gandhi on his 145th birth anniversary at the Valmiki Temple, before launching the Swachh Bharat Mission, in New Delhi. 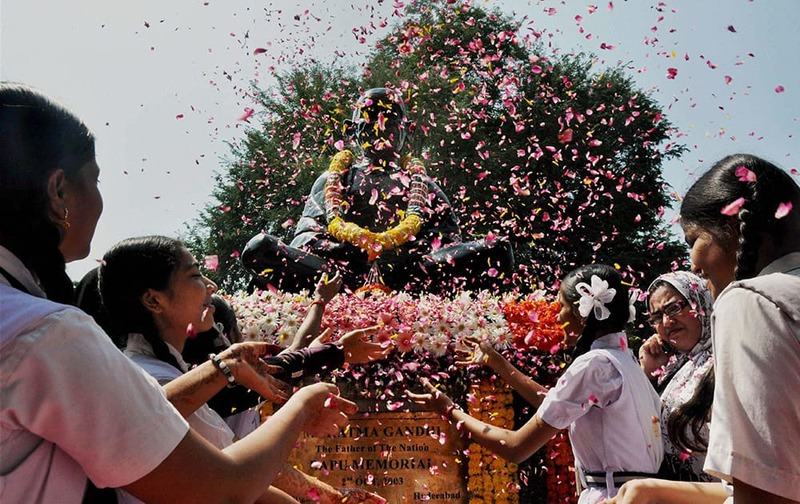 Students paying floral tributes to Mahatma Gandhi on his 145th birth anniversary at Bapu Ghat in Hyderabad.